The practice of hunting involves trapping or killing animals. It also includes the process of tracking them down or pursuing them with the same intention. People commonly do the hunting of feral or wildlife animals for recreation, food, or to eliminate the predators that are dangerous for the wellbeing of domestic animals or people. Hunting is also done for trading the hunted animals. Women and sportsmen have contributed approximately $8 Million each day for the support of wildlife and the caretaker agencies. Some interesting trends have appeared in recent times. On average, a hunter spends approximately $2484 annually on the sport of hunting. The fastest developing market in hunting today, are teenage girls. As per a study, 72 percent more women are using firearms to hunt as compared to the numbers taken five years ago. According to that same study 50 percent, more women are participating in target shooting of animals as compared to the number taken five years ago. 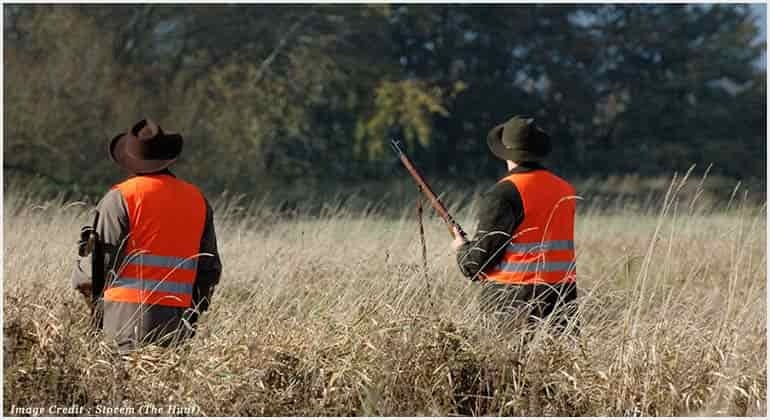 As per records, under the Wildlife Restoration Act that was passed in 1937, target shooters and hunters have paid over $7 Billion as excise taxes through Federal Aid up till 2012. All American people participate in hunting a combined 282 million per annum which means a single hunter takes 21 days for hunting. Over 38 Million people participate in hunting or fishing. Anglers and hunters support more than 680,000 jobs in the US. With the help of excise taxes and sales on various hunting equipment, the anglers and hunters payout for most of the programs associated with wildlife and fish conservation. The number of Americans who shoot or hunt is more than the number of those who play baseball. The involvement of firearms is less than 1 percent in the accidental deaths. The number of Americans killed by vending machines is greater than the number of fatalities caused by guns. The sales of hunting gear are increasing at a quick rate especially if we compare the numbers with the sales of other sporting goods. Americans have spent over 38.3 Billion by purchasing hunting gear. Since the year 1993, the sales of the stamp, hunting license, tag and permit for non-residents have increased by more than 41 percent. The best selling sporting goods in America are exercise equipment, golf gear, and hunting gear. Hunting has brought more revenue which is $38.3 Billion as compared to $37.9 Billion brought in by Google and $36.8 Billion brought in by Goldman Sachs Group. Camouflage is essential for a hunter to remain invisible to the animals s/he is hunting. It is important to stay out of sight at all times because as soon as the animal is going to spot anything it will start running and you will not get a clean shot of your prey. Camouflage allows the hunter to blend in well with the background and become almost invisible to the prey at a distance. Dog handling is more of a team job than a solo hunt. Your dog needs proper training for it, and you have to cooperate with it to remain successful in your hunt. You need to have adequate equipment at hand so that you don’t miss out on your prey. If you have trained your dog for hunting, then it will prove to be an asset on the field. One of the charms of bird hunting is that you don’t have to wait for the entire season to pass. There are different types of birds available for hunting throughout the year based on the hunting species. Birds have very sharp eyesight, and they are active as well. You need to wear adequate hunting gear to shoot down your prey without getting noticed. This hunting goes on throughout the year, and it comes with different challenges of its own. Wild boars have a keen sense of hearing and a good nose too. In some cases, these animals may also get very aggressive. Therefore, you need to wear proper equipment and clothes to bring them down in case if you didn’t shoot them clean. Any hunting practice that involves deer, bear or even wild boar is known as big game hunting. For most of the people, elk hunting defines this type better. When October is starting all your equipment and gear must work because you are going for a large prey here that can retaliate in some cases if you miss. It is probably the most common type of hunting and the hunting season can extend to year-round seasons. Dogs can play a significant role in this hunting as well if they are properly trained for the campaign. Small game is not as threatening as a big game but it is far more active, and a single miss can be very costly. For an active hunter, it is essential to stay on the feet and cover long distances following the prey. You must carry your gear with you, and you might have to travel through the forest. You might have to go through the woods, or bushes or even swamp. Therefore you need to have adequate gear that is lightweight and clothes that are properly ventilated. Bait hunting involves long waiting hours, and you have to sit still without making much movement. Therefore, on this type of hunting, you need to wear clothes that are extremely comfortable and can hold heat properly. The gear needs to be ready as you never know when your prey makes an appearance. Safari involves hunting in warm latitudes with high temperatures. You need to have lightweight and thin garments to have a relaxing time while hunting through exotic and dry climates. It is essential so that the heat doesn’t get the better of you. Recreational hunting is more about having fun out in the open rather than shooting prey. In this hunting, a zero score doesn’t matter that much because you are not there to kill everything that moves. It is more of a style statement. In this case, hunting itself becomes the lifestyle. If you spend hours in the forest after the hunt is over, then you are embracing the hunting 24/7 lifestyle. You tend to spend more time in the forest not just because you are after something but because out of sheer joy and satisfaction. Whether you are after a big or a small game, you will have to decide which type of gun you should choose, whether you should opt for a rifle with scope, a handgun or a shotgun. The difference between these three pieces is associated with ammunition and barrel. The rifles come with bores that are grooved. It means the bullet will travel faster and further in a straight line. A short gun is better for short distances while handguns come with an iron or optical sights. Any firearm that you can only load from the muzzle is a muzzleloader. The challenge here is different altogether if you compare it with guns. 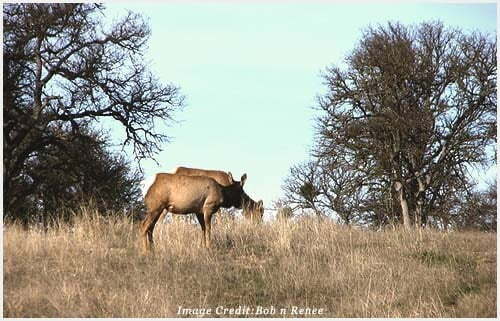 Stalking and bugling in a large animal like a moose or elk need special skills and tactics. In most of the American states, there are specific seasons for muzzleloader hunting. The users of muzzleloaders must keep their firearms clean, or they won’t function properly. There is a huge variety of bows available on the market just like guns. Such types of weapons are classified into three distinct categories including longbows, recurve bows and compound bows. It is essential for you to decide which pound bow you should use for the hunt depending on what you are hunting. For example, a forty pound bow is best suited for deer hunting if you want a clean kill. A seventy-pound bow may cause difficulty in the drawing, particularly if the weather is cold and you are wearing several layers of cloth. Using bows and arrows for hunting truly defines what the thrill of hunting is because you not only have to be accurate with your aim but also get close enough to the prey for a clean kill. Getting close means that you must avoid the sense of hearing, smell, and the sight of your prey and go for the kill.